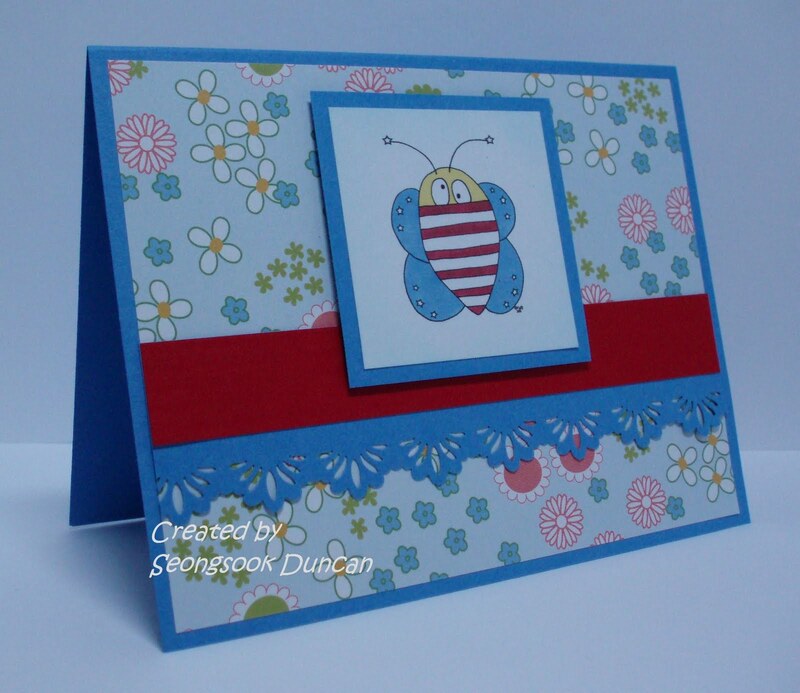 I made this card to enter Strech N Bubbles Sketch Challenge #3 based on the sketch below. I used the Stars & Stripes Bee Digital Stamp from SNB. I colored it with Bic Mark.It markers. 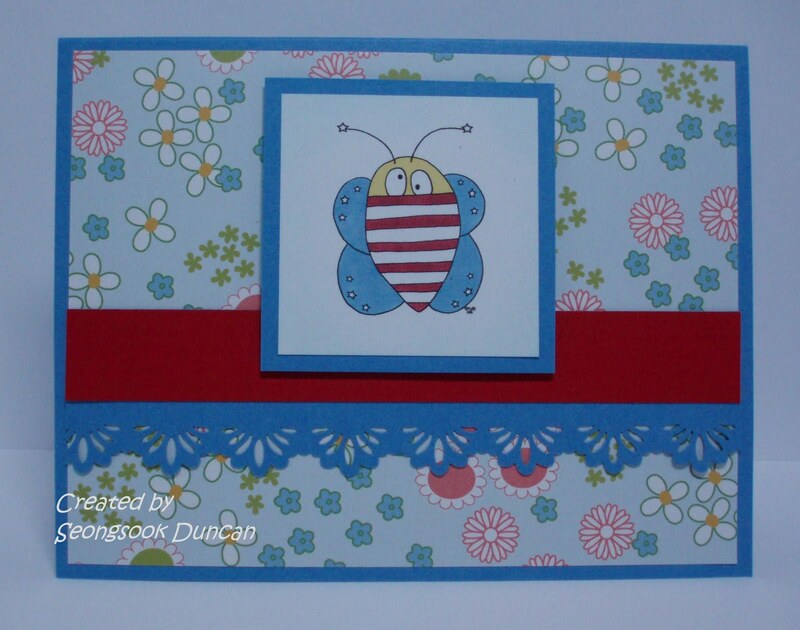 I used the border punch from Fiskars that Joanie donated for the Operation Write Home Cardmaking at work. 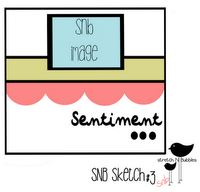 I didn't put any sentiment yet. Maybe I can put "Bee Happy" later. So cute Seongsook! Love your border! How cute is this????? 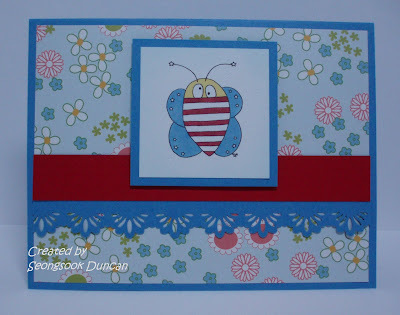 I love how you colored the bee and your paper is awesome! Thanks for playing along again Seongsook! I hope you'll join us again tomorrow. What a cute, fun card. I love your paper and the cute bee.